Summer movie night? Breakfast with Santa? Father-daughter dance? Create, sell, and scan tickets for events in-house, online, or from a mobile device with CivicRec. 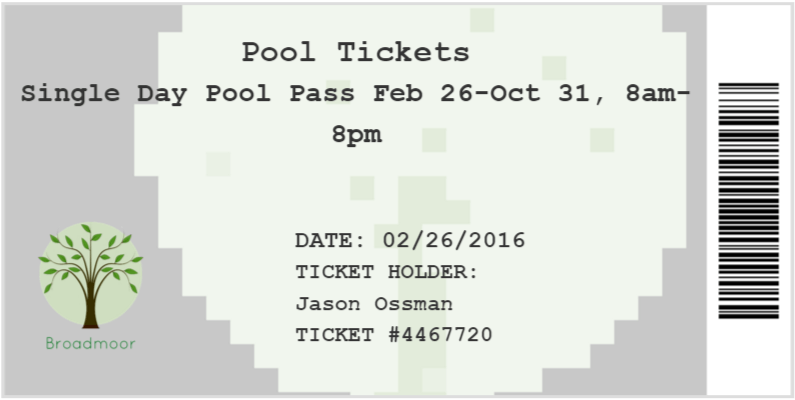 Create barcoded tickets with a receipt that customers can present either printed or displayed on their smartphone, and that staff can scan from their desktop or mobile device. 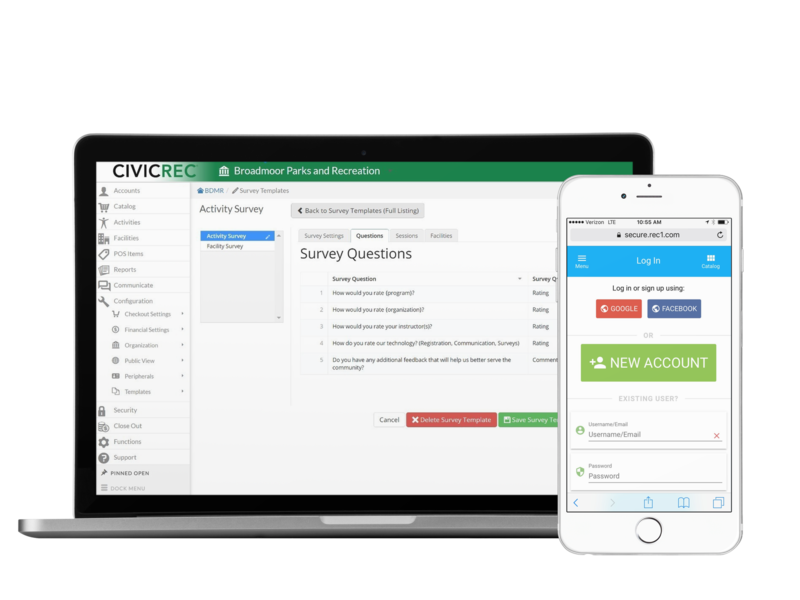 With CivicRec, all your citizens’ most important features and tools are just one click away. Our intuitive Public User dashboard allows citizens to access needed information without searching through web pages, or placing calls to multiple civic departments. Citizens can conveniently view notifications, inbox messages, and calendars upon logging in, then easily browse and register for programs and rent facilities. To help citizens find the information they are looking for quickly, the side menu navigation includes the ability to print receipts, view account statements, pay balances, update contact preferences, and more. Most parks departments have numerous teachers, swim coaches, lecturers, and other instructors. These contractors need access to independently manage rosters and activities. 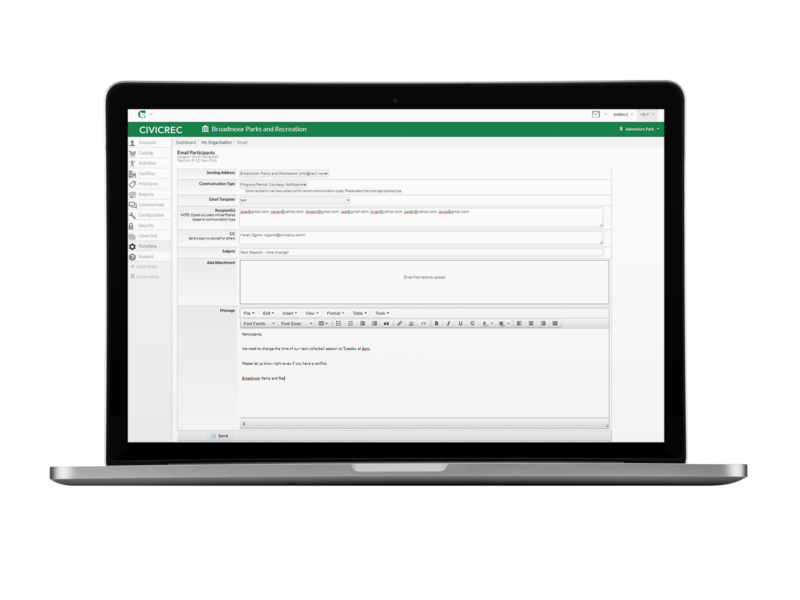 The Instructor Management module allows instructors to self-manage their classes and registrants, freeing-up your staff for other administrative needs. Instructors are given only the permissions and access to data they need. 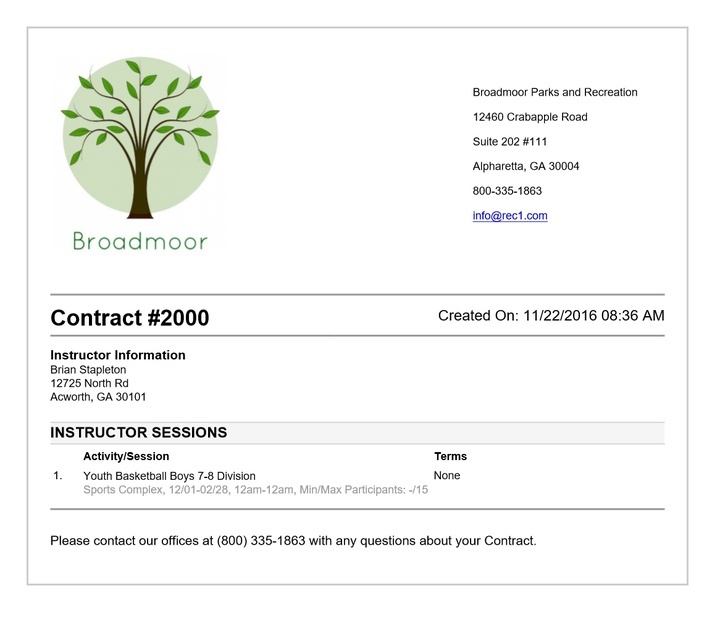 Contracted instructors can receive contracts, be assigned to activities, manage rosters, and can contact participants without needing direct access to secure administrative data stored within the CivicRec solution. Do more than just take registrations. Give citizens a rich catalog experience that promotes all your community has to offer, and even displays locations and facilities in a map view. Connect to your community’s social networking profiles, and encourage citizens to do the same. Encourage feedback and solicit future participation in upcoming events. With CivicRec, it’s easy to find new, creative ways to engage citizens in your community and increase event participation. Need new ideas to increase registrations? 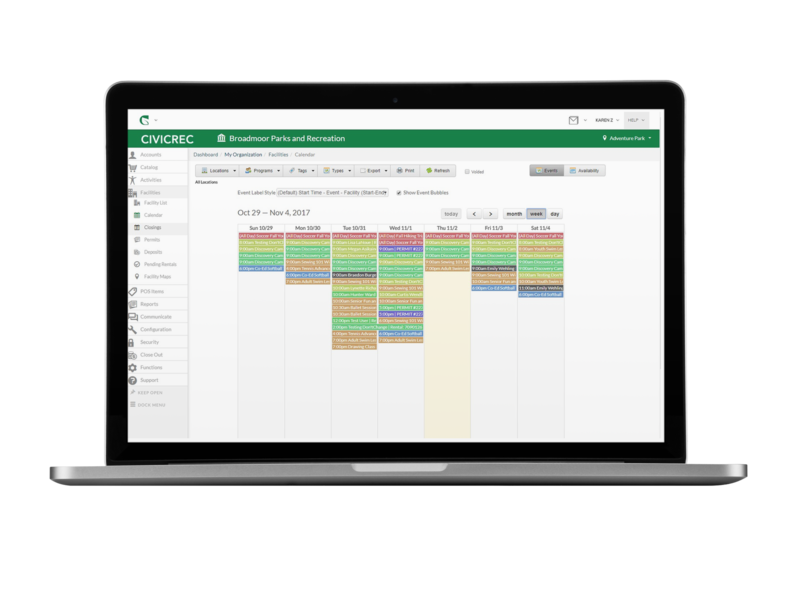 CivicRec offers built-in marketing and promotion components. 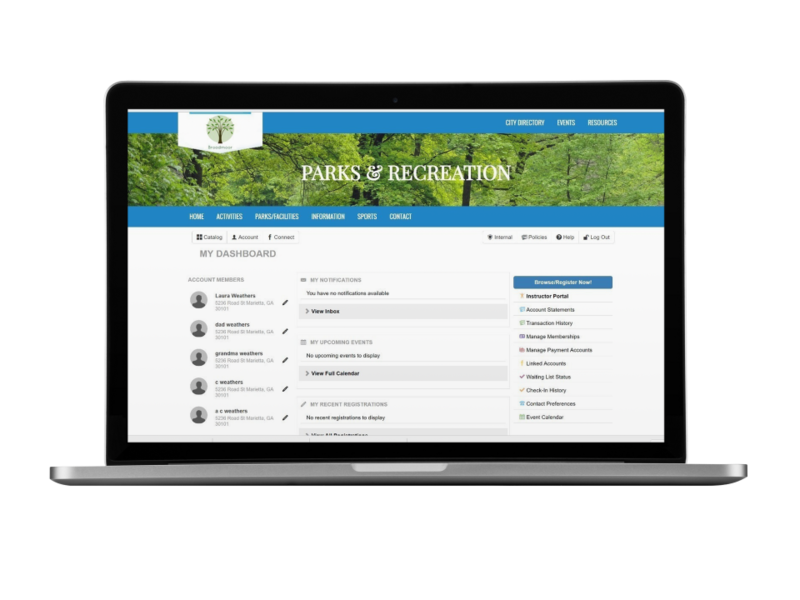 From simple word-of-mouth tools, like giving citizens the opportunity to share recent sign-ups on social media, to the ability to send out mass emails to current and past participants, CivicRec provides built-in marketing support for park directors and program managers.